My hubby is a big friend of grilled ribs, no matter what they are pork, beef or mutton ribs. He usually comes visit a vicinity of our current living town to find the best char grilled back ribs for at least every two weeks, thus making a cost to our very thin pocket. It hurts me. Back ribs are the best choice in making good grilled, juicy and flavorful ribs because they have less fat than other parts of the animals. I’m fed up with eating BBQ ribs all the time in the town in that they have too much smokey flavor, no matter what that flavor is natural or artificial, and no fruity glaze on. 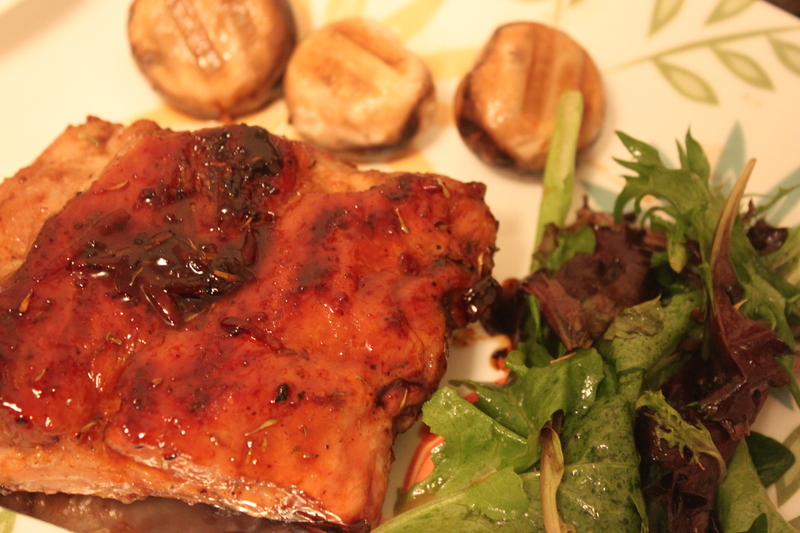 I found that we can use some of the favorite jams or preserves (preferably for me) to glaze the grilled ribs. Some leftover in your jar can make a hit to your family’s dinner. I used to serve the grilled back ribs together with a simple but elegant mix veggie salad and some beautiful fancy mushrooms. – Sprinkle salt, pepper and dried thyme over two sides of the rib. Let it sit for 30 minutes. – Use an electric grill or char broil, grill the back rib for each side 15 – 20 minutes at 400 F (200 C) uncovered. Depending on the hot of your grill, the grilling time can be different but if you use a theometer, the temperature when the rib is done should be 160 F (80 C). – Spread the sauce over each side of the rib and grill for 2 minute each side. Repeat 3 times. – Spread the lemon preserve both sides and grill for 1 minute each side. Repeat 3 times. – Grill fancy mushrooms (or any type of your favorite mushrooms) until their color is golden brown both sides. – Mix all the ingredients with the vegetables well right 5 minutes before you serve the rib to retain the crunchy of the salad. My friends told me, or maybe most of people I had a chance to talk about New Orleans of Louisiana, that city is an ideal heaven for drugs and guns, illegally. For me, I don’t care much about the evil face of that city but really am into its uniquely delicious food. It’s hard to name all of the famous dishes in New Orleans. The food here is a medley of French and Spanish style, thus easily to understand why their food is hot ( like Spanish favor ) and perfectly cooked ( as we can find in French cuisine ). My suggestion for those of you guys who are deliberating in chosing which place is the best for food in America, New Orleans is the one you can’t miss it. As long as you’re still the tourist, it’s safe for you in that city. If you don’t have time or chance to visit New Orleans, it’s okay. For New Orleans styled food craving, this recipe is a good try. 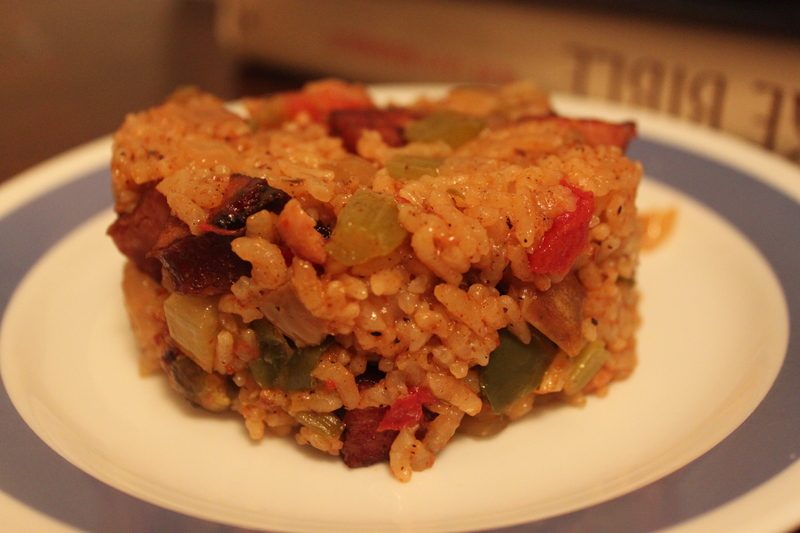 Jambalaya is rice cooked with a variety of vegetable and some chosen meat or seafood. Certainly, a kick of hot would be added to enhance the flavor of Jambalaya. You can reduce the amount of pepper if you’re not a big fan of hot (yes, it’s pepper, not chili, that makes you feel hot in Jambalaya). My recipe originates from the recipes in the cook book of Chef Paul Prudhomme “Louisiana Kitchen”. – Heat the butter until it’s hot then add the sausage and cook until it’s brown for 5 minutes. Add the chicken and cook until the chicken is brown. – Add all the seasoning mix and 1/2 of the vegetable. Cook for 5-10 minutes until the vegetable is soft. Stir in the tomato sauce and cook for 1 minute. – Add the remaining vegetable, mix well and remove from heat. – In a baking pan, stir the sausage mixture with rice. Add all the stock and bake uncoverd in 350 F (175 C) for 1 hour. – Serve when the Jambalay is still warm. I know that mousse has lots of fat, but a portion of it is not so bad. 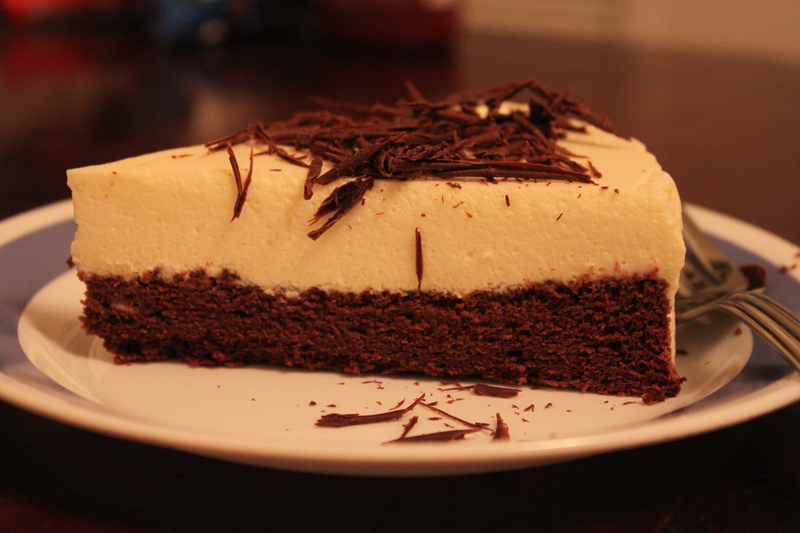 Mousse is the one that costs me time most in eating among other cake, albeit making this is pretty simple. I like mousse with a base of genoise, though this indulgence costs me more time in the kitchen. 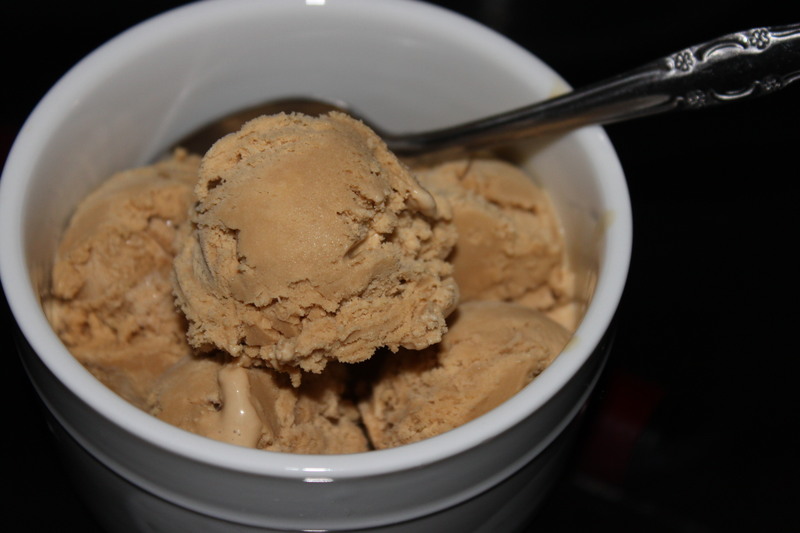 It reduces the overwhelming of fat in your mouth after several spoons of mousse if you eat the traditional mousse. – Beat the egg yolk with 2 tbsp sugar until it’s fluffy then add the melting chocolate. Stir until the mixture is smooth. 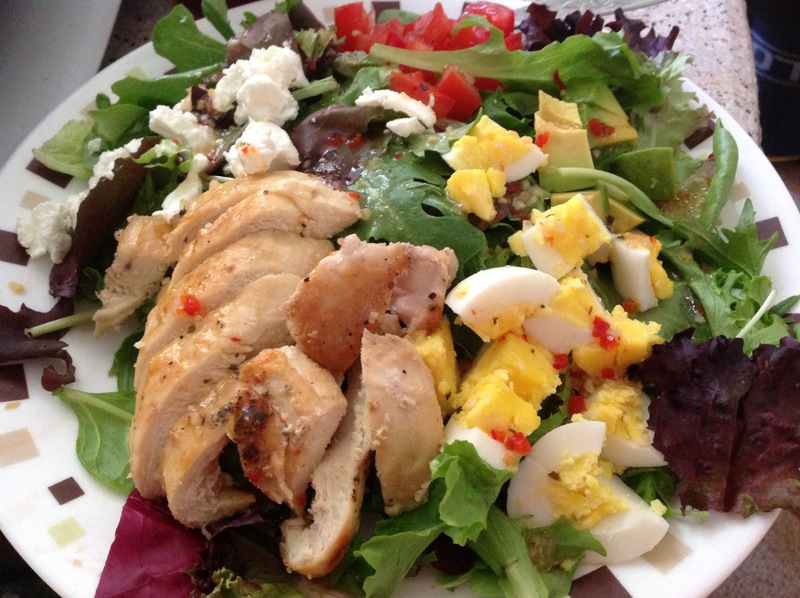 – In a clear bowl, beat the egg white with sugar until it’s glossy and soft peak. Note: start beating the egg white slowly with the medium speed until it’s frothy then increase the speed to the highest. Gradually add 1 tbsp sugar a time. Beat until the egg white reach triple its original volume and very glossy. – Add 1/3 egg white into the chocolate mixture to light it. Then sift 1/3 flour and gently fold the mixture. Continue this step for 2 times more. – Spray the baking oil onto the bottom of the springform pan, except its side. Pour the mixture into the pan. – Bake at 350 F for 30 minutes. – Wait 10 minutes after the cake is out from the oven. Remove it from the pan and let it cool completely before assembling with the cream cheese mousse. – Microwave the cream cheese for 30 seconds until it’s warm (not cold). – Sprinkle the gelatin into 2 tbsp water. Let it sit for 10 minutes then microwave 15 seconds. – Stir the cream cheese with gelatin. Note: the cream cheese has to be warm enough for adding the gelatin liquid, otherwise, the gelatin couldn’t be dissolved and return to its crystal. – Heat the sugar with 2 tbsp water until it reaches 234 F. Beat the egg yolks while gradually pouring into a thin stream of hot sugar syrup. Beat the egg mixture until it’s yellow pale and fluffy. – Stir well the egg yolk mixture with the cream cheese mixture. Let it cool for 30 minutes. – Beat the heavy cream with 1 tbsp sugar until it reaches the soft peak. Don’t over beat the heavy cream, otherwise it would be separated into butter and buttermilk. – Pour in the cream cheese mixture with heavy cream. Gently fold until the mousse is smooth. 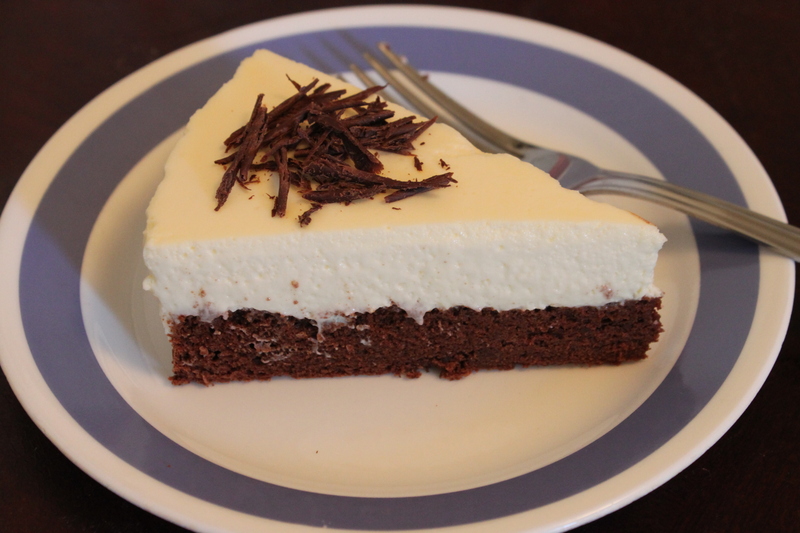 – Pour the cream cheese mousse onto the chocolate genoise. Keep refrigerate for at least 6 hours then serving with shaved chocolate.